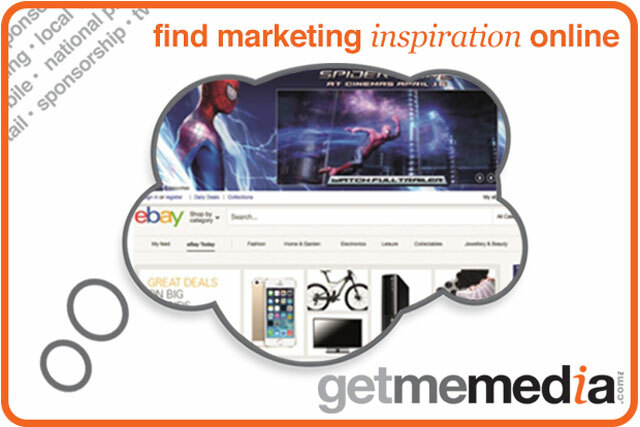 Sony Pictures used the eBay homepage takeover to drive 4.8 million video views for The Amazing Spider-Man 2 cinematic release. The digital solution had to be able to connect engaged consumers to all digital promotions of the film, including trailers, competitions, ticket sales, games, pre-populated tweets and other social media content. eBay's native pushdown (NPD) format was ideally suited to run compelling creative linked to multiple digital promotions. Pairing the NPD with auto play video ad displays enabled the key objective of ‘day of release video views’ to be delivered at scale. This was supported via ROS video ads targeting users with relevant shopping behaviours, directing them to a brand page featuring all promotions featured in the NPD. The film studio achieved reach and awareness, combined with high dwell times for video views by running a one day homepage takeover (HPTO) supported with highly targeted impressions driving traffic to a dedicated brand page.